The next time you’re taking a nightly stroll downtown, take a minute to count how many people are looking up at the sky. Chances are the number will be small, if it’s not zero. Light pollution drowns the brilliance of the night sky, leaving city and town dwellers little reason to look up. Meanwhile, technology is providing an incentive to look down at our screens. As a result, we are losing touch with the cosmos. Have you ever seen the star-lit band of the Milky Way Galaxy? Below is a trailer for the award-winning feature documentary released in 2011 addressing the many effects of light pollution. A waning, underlying sense of connection with nature is harder to quantify than the threat that light pollution poses for astronomers’ work. In order to extract information from the light of stars and galaxies within our universe, astronomers need clear, dark and preferably light-pollution-free skies. Ground-based telescopes and other observing instruments, therefore, occupy remote, and often elevated, regions of the globe, so observers may escape city glare. However, older telescopes, like the Mont-Megantic Observatory founded in 1978 in Quebec, Canada, cannot help towns and cities from developing around them. 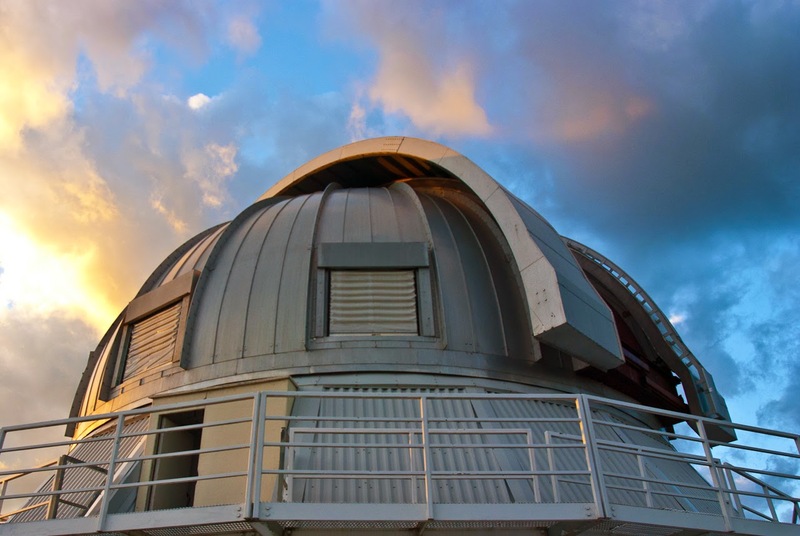 Even atop the highest point accessible by car in Eastern Canada, the observatory suffers from a hazy light on its horizon that gradually stretches to the stars. In 2007, the International Dark-Sky Association and the Royal Astronomy Association of Canada certified the MMO as the first International Dark Sky Reserve, which designated the site as an area to be kept free of artificial light pollution. As a result, towns within a 50-kilometer radius of the MMO began taking efforts to reduce their nightly light levels. In the meant time, a pair of scientists at the Cegep de Sherbrooke, a college in Quebec, Canada, took the opportunity to measure the change in sky brightness levels before and after 2007. They report their surprising results in the Journal of Quantitative Spectroscopy and Radiative Transfer. “Our hope before the project was to reduce by 30 percent the 2006 sky brightness, but we obtained a much larger reduction,” said lead author of the paper and member of the International Dark-Sky Association, Martin Aube. Aube and colleague, Johanne Roby, measured artificial brightness levels at night of two wavelengths belonging to mercury and sodium. They found that in 2009 the mercury levels in the night sky had reduced by 50 percent, and sodium levels were 30 percent lower. The last time the night skies around MMO had been this dark was in 1979, the scientists reported. High-pressure sodium lamps and mercury vapor lamps comprised two of the three types of lamps the surrounding towns employed at night when MMO was dark-sky certified, Aube said. The reduction in the sodium and mercury brightness levels at night was a direct result of the towns’ efforts to reduce their light levels. For some of their lights, the towns reduced the power output by 40 percent. They also replaced lighting fixtures of 3300 lights so that the new fixtures directed the lamps' light down instead of up and out. In the process, the towns saved nearly two Gigawatt hours of energy within the first year. “The impact on the starry sky was immediate and impressive,” the authors stated. Changing to a darker sky did not come easy, however, said Aube who was not part of managing the towns’ lighting alterations. In 2011, Aube installed a permanent instrument to continue monitoring the sky brightness around MMO. Since then, he’s noticed a recurrence in the increase in sky brightness levels around MMO. Light-emitting diodes, colloquially called LEDs, can produce two to three times more light pollution than high-pressure sodium or mercury vapor lamps of the same lighting level. Aube said there's been an increase in the towns' number of LEDs in the last five years. Aube is also part of a team who is currently working with observatories in Arizona, California, Argentina, Spain and France to help them monitor their sky brightness levels. You can find links to other media pieces addressing the prevention of light pollution here. You have to carry this clock towards approved retail store connected with Imitation rolex wristwatches should you previously fake omega almost any considerable dilemma. Will not get to help almost any frequent retail outlet. They're going to lead to far more cause harm to in comparison with envisioned. They've already basically found the earth how to make simple wristwatches which might be considerably prior to it is time period. This holiday season, Pilot Brand can be quite favorite. When i really have to consult my good friend who's going to be some sort of pilot, what exactly check out what's have on from the fresh air. He / she asked everyone: rolex replica sale, this $899 just one. inch This musical instrument from the log home is usually far more finish in comparison with you think that. This rolex replica sale wristwatches imitation of which pilot have on is a this check out this stewardess have on, there may be very little change; it truly is simply just work with correspond apparel. In past times, fake hublot intended for pilots are important. Seeing that ex- pilots need to have description position or maybe swiftness using the a few minutes; this hublot replica uk fork out excessive focus with small. Conscious what try to attain in almost any exact prompt of Rolex Replica every day, we must have in mind the time. Consequently time pieces are utilized. A Duplicate Watches is usually a minor unit that may be made use of account for Replica Watches Uk time. There're called watches also bank account different watches determined by the carrying signifies. Arm time pieces have been the Omega Replica types worn out across the arm as the bank account are brought within storage compartments. Wallet enjoy designs are categorized into quartz wide variety and electric category. Quartz design could be the Breitling Replica fantastic outdated time pieces that uses a little electric motor they are driving mechanized arms that report moment.